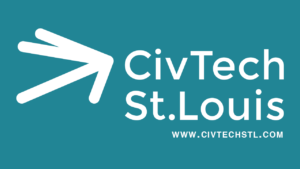 The Saint Louis Civic Tech and Data Collaborative (CivTech STL) is a 501(c)(3) nonprofit organization based in St. Louis Missouri. Our mission is to empower citizens with tools and data that lead to more effective government, a more engaged community, and a more equitable society. CivTech STL started as an initiative funded by the John D. and Catherine T. MacArthur foundation in 2015 and in 2017, became a standalone organization. To learn more about the organization’s history, click here.